I was asked to write what I know about choosing health insurance... I know absolutely nothing other than I've never been without it and will never be without it if I have anything to do with it. Mine has paid for itself over and over again, especially after a stay in hospital a few years back that would have cost me $35,000. I have some friends who are the only wage-earner in their family who have a hard time understanding what to do for their healthinsurance. It can be hard to provide the right hospital cover and extras cover for themselves and their kids, as a lot of the laws relating to family health insurance are different compared to those where both parents are in employment. Paying for your family’s health insurance can be tough, especially with the global economy being in its current state. However, it’s possible to try and save money on your policy. 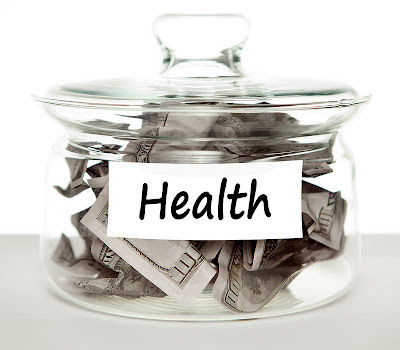 You could compare health insurance costs of different insurers to get the best deal possible without paying too much. Websites like Choosi canhelp with comparing different policies. Something else you need to be aware of is the Medicare Levy and income thresholds. Any single parent family which has an annual income of over $168,000 has to pay a 1% Medicare Levy, with those earning more than $194,000 paying 1.25% and 1.5% for those on over $260,000. Thankfully, you save yourself the trouble of having to pay the Medicare Levy if you earn less than $168,000 providing that you have the right amount of health insurance. As well as being exempt from paying the Medicare Levy if you’re privately insured, you might also be surprised to learn that single parents can receive other benefits from the government. You might be entitled to the Family Tax Benefit, which will make paying for insurance a little bit easier. Also, there’s the Baby Bonus, which you can get if you have a new child. Payments can exceed $5,000, which is handy when trying to save for a rainy day. You might think that health insurance for parents, especially single ones can be too much to cope with. Thankfully, as some of my friends have found out, with all the benefits they receive and finding the best deals available, they can easily afford to cover themselves and their kids if they felt ill or had an accident. There is an online estimator tool available on the government’s Department of Human Services website which you can use to estimate or compare the Family Tax Benefit you may get, based on your current or proposed income. The government is also bringing in a Single Income Family supplement which will be available from 1 July 2013 for families with one primary earner whose income is between $68 000 and $150 000. For more details Google the Department of Human Services. insurance is crucial for every individual, and more so for a family.